In India each month gives at least 1 or 2 chance to do traditional makeover, Indian girls and women do not want to miss that chance at any cost. As a reason they never forget to update wardrobe collection as per the trend in bollywood salwar kameez dresses and today we are going to see what are the favorite’s shades? Can be seen on regular basis on them. 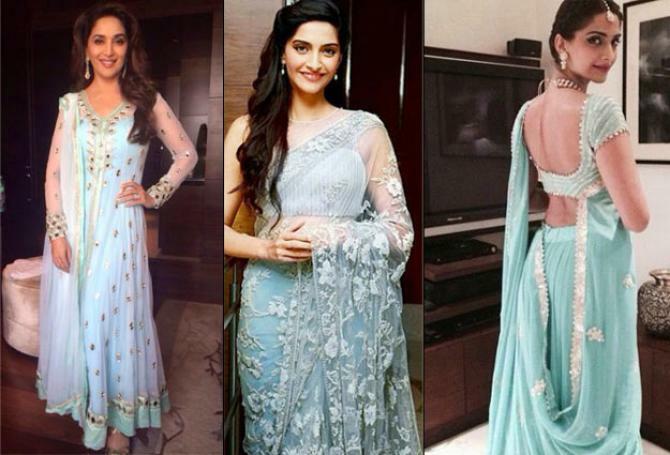 See how our Bollywood actresses flaunt in different shades of sky blue like shiny light blue, scuba blue and medium blue. This shade very well set on any type of skin tone and also makes any girl look slightly fairer then the actual tone that’s why today you see many girls wearing different shades of maroon. 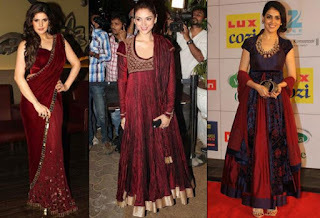 Zarin Khan looks fearless and remarkable in maroon colored saree jacket and just looks at the Aditi rao haidari and Genelia desoza in anarkalis suit. 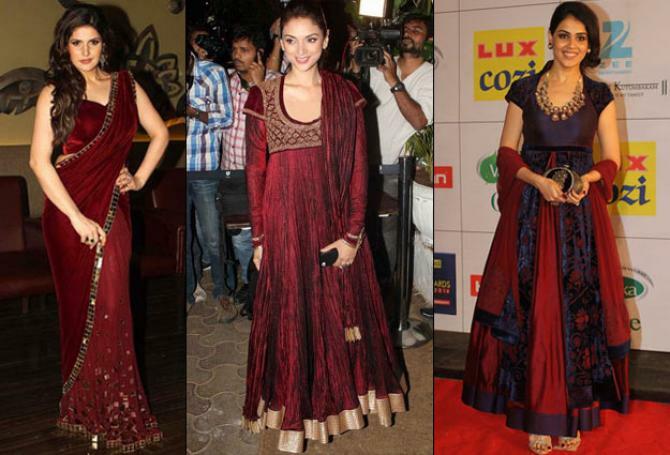 These different poses suggest that the maroon is also a favorite shade in Bollywood celebrities. Anil kapoor’s daughter always inspires all Indian females by distinguish choice of color and dressing style and In 2016 Sonam spotted in nice aquamarine saree blouse pair. Even Madhuri dixit also spotted in aquamarine suit at promotional event by seeing that you can say that aqua marine shed is also in trend in 2016. You can grab similar latest designer long Anarkali gowns online at budget friendly prices. 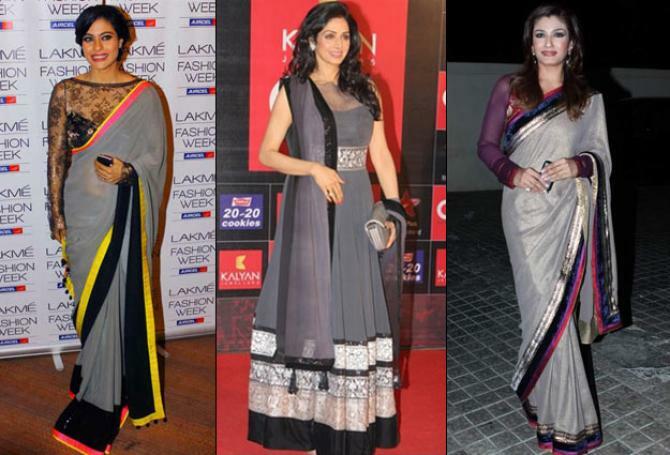 Kajol and Raveena fashioned with different shed of grey shed in saree blouse whereas Shridevi was seen in gray colored anarkalis suit. 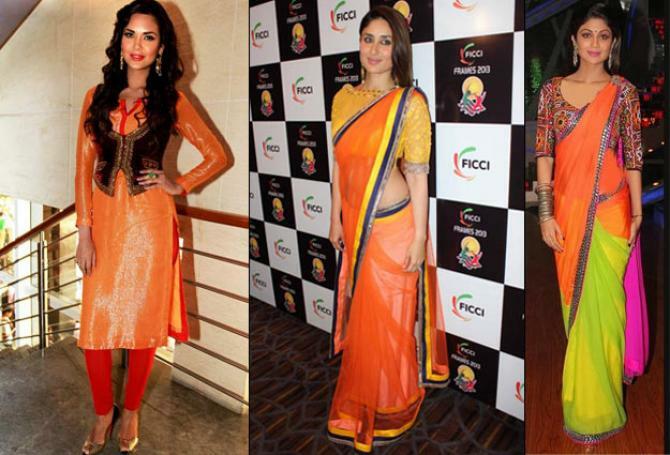 Hope you glad to know about in trend colors, next time we will come up with something unique so keep following us.